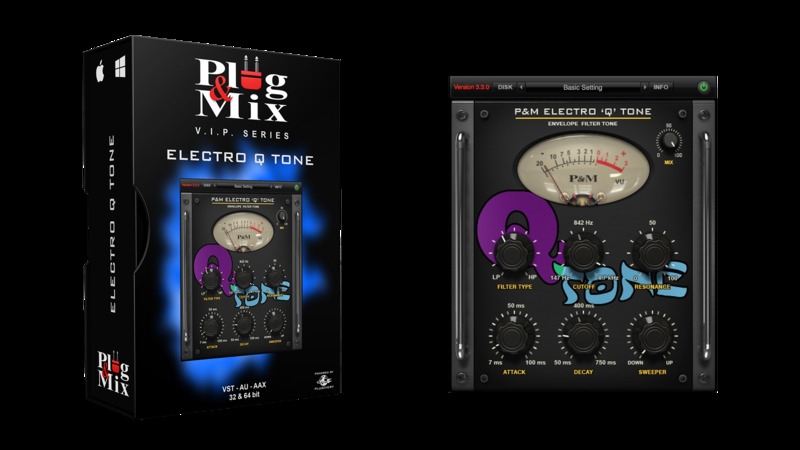 This plug-in can produce some serious filtering auto filtering action for rich and funky sounding results. Q-Tone sounds great on drums guitars and bass and it's unique envelope controls allow you to modify the filter's behavior with ease. - FILTER TYPE : Filter mode control, blends between lowpass, bandpass and highpass modes. - CUTOFF : Center frequency control for the filter. - RESONANCE : Resonance control for the filter. - ENVELOPE ATTACK : Controls the time taken by the filter to sweep from Center frequency to - Center + Amount. - ENVELOPE DECAY : Controls the time taken by the filter to restore initial state. - SWEEPER : Controls the sweep range.